OIL MONITORING, OIL SAMPLES, OIL ANALYSIS - We can do it for You! Lubrita oil analysis program is integral to any successful lubricant reliability program. Accurate monitoring of the condition of used oil – whether in an engine, gearbox, circulating system or mainline power generation turbine – an oil analysis program can help improve your bottom line with less lubricant to purchase, fewer parts to keep in inventory, less used lubricant requiring disposal, less labor and less downtime. 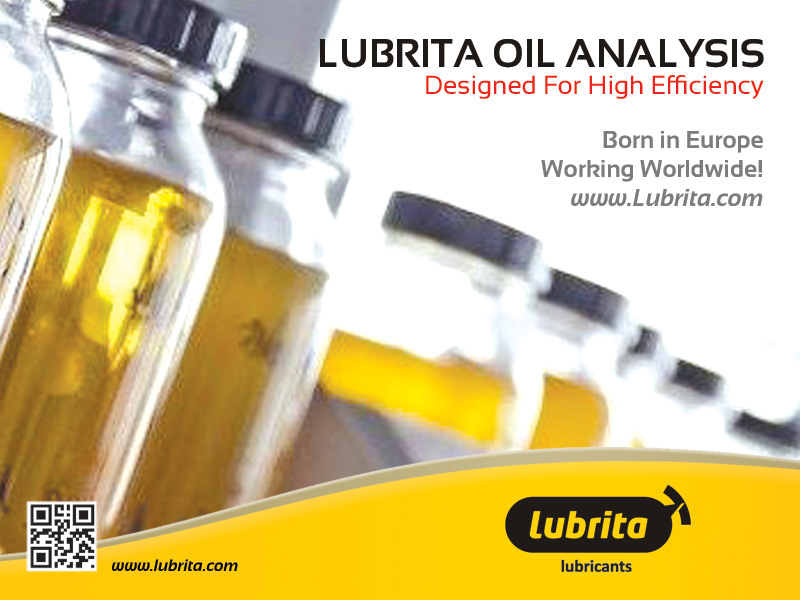 Using Lubrita‘s oil analysis program enable our customers to be more efficient. Oil analysis monitors oil samples for mechanical, operational and environmental factors that can affect equipment and oil life. Keep in contact with us for more details.